Immaculate 3 bdrm, 3 full bath ranch home. Formal living rm, and dining rm lead to a spacious great rm with vaulted ceilings, bay windows and fireplace. Fresh paint and hardwood in living areas combine with natural light from large energy efficent window give bright look. Kitchen has large pantry,ample cabinets,planning desk and breakfast area with walkout to deck over looking a private botanical garden yard. Main flr laundry rm between kitchen and 2 car garage doubles as mud rm with closet. Every bdrm is spacious in this home. Huge Master has deep walk in closet, tub, separate shower, twin sinks, bay window and bdrm has walkout deck. 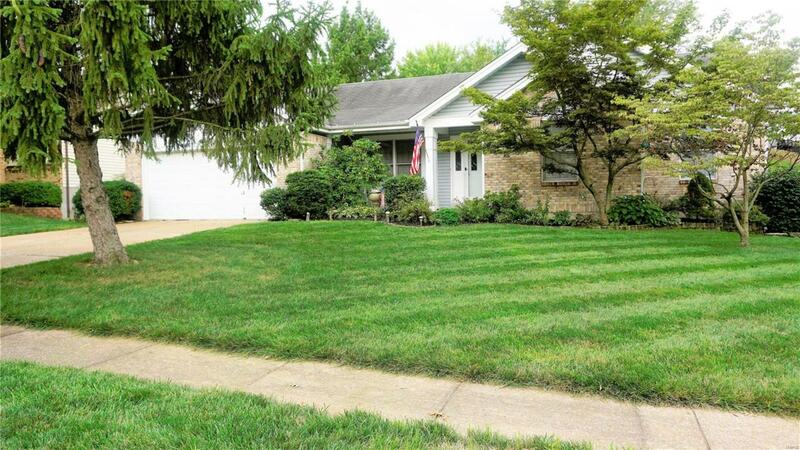 Partial finished basement has theater rm, full bth and French doors leading to a 3 seasons rm. Huge portion of basement is used for storage/shop area with walkout to 3 seasons rm. Cul-de-sac has walking access to Truman Park.Walking distance to stocked fishing pond, trails to San Luis Conservation Area! 1 block from White Birch Park and major interstates.